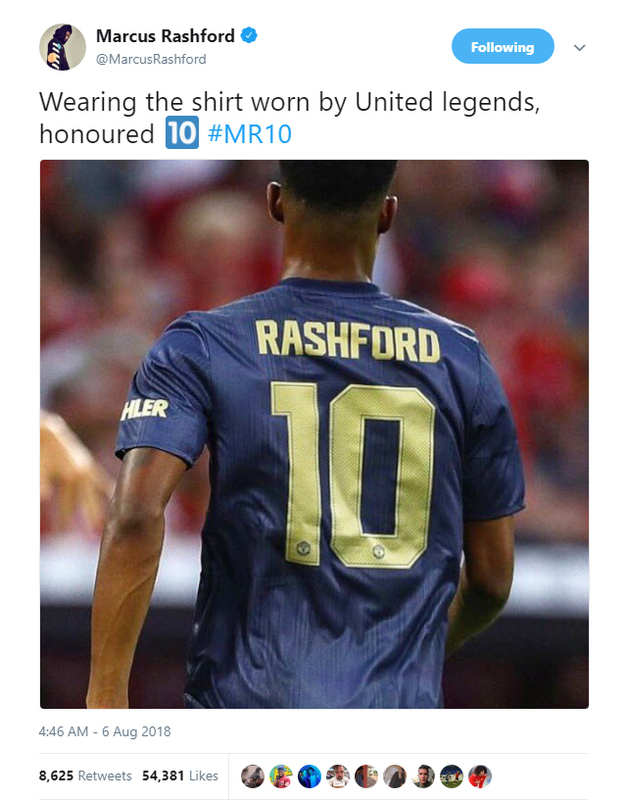 Manchester United manager José Mourinho has explained the reason behind his decision to hand Marcus Rashford the iconic No 10 jersey. United have confirmed that the England international will wear the vacant No 10 shirt for the 2018/19 campaign. Zlatan Ibrahimović was the last player to wear the number when he inherited it from United's all-time top scorer Wayne Rooney, who donned the iconic number for a decade. 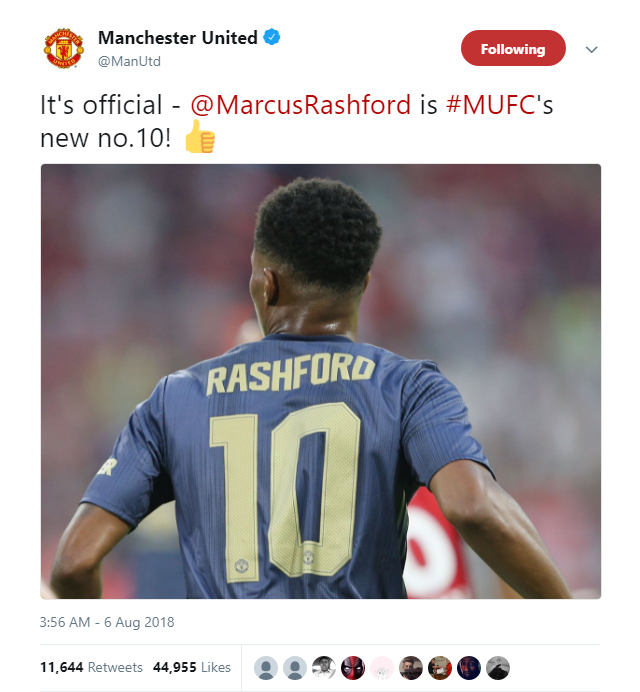 Rashford, who wore No 19 on his back last season, donned his new number on Sunday as United fell to a 1-0 defeat to Bayern Munich in their final match of pre-season. And Mourinho explained to MUTV after the match that the decision was a reward for Rashford, born and raised in Manchester, given his stunning two-and-a-half year rise. He wanted it. He always wanted it. Of course, he respected the big Rooney, and then Zlatan wanted to have it. Of course, he was in the shadows waiting for the opportunity and now the shirt is empty. It's something fantastic for the kid, let's give the shirt to him. Inheriting the No 10 jersey at a club like United means Rashford has some very big shoes to fill, and the 20-year-old is aware of the honour. Other big names to have famously worn United's famous No 10 include Mark Hughes, Teddy Sheringham and Ruud van Nistelrooy. Rashford, however, is the first homegrown player to be given the number since David Beckham wore it in 1996/97 campaign.